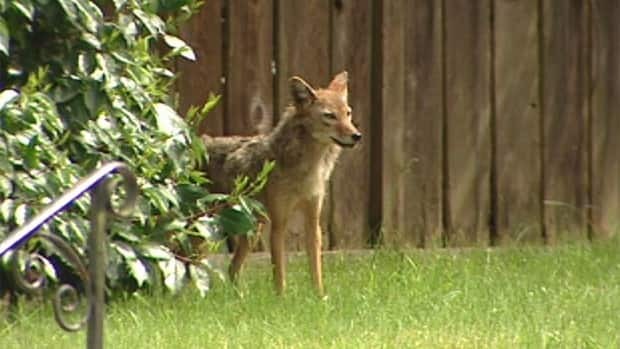 A coyote just ate my neighbours cat. I assume it was the cat, she has lost three in the last twelve years; one thing for sure – it wasn’t the skunk who keeps spraying my dog. I doubt the victim was a raccoon; they can be nasty, and the alarming battle outside my window was brief. Squirrels are out of the question, they’re safely tucked under my roof, chewing what’s left of my wiring. I’ll miss neighbour cat; it was a stealthy hunter, most certainly responsible for keeping down the rodent population. Raised in the country we listened to coyotes wailing on hot summer nights. Not once did I see one. The odd deer nibbled the vegetable garden but raccoons didn’t live in our garbage can. Pet stores were the only place to see rats, our dogs were never sprayed by skunks. Aside from the unfortunate young bear who chased us home from the school bus, sealing its fate at the receiving end of my fathers shotgun- life was gophers and an occasional garter snake. Now I live in the heart of a major city.A skunk lives under my front steps. Raccoons waddle up and down the street, squirrels live in my roof; oblivious to the cayenne pepper bombs I place in their way. Rabbits happily populate parks. A coyote sighting is not out of the ordinary, sometimes spotting them three or four days in a row. Every once and a while they attack a child in the park, or go after a small dog. Mostly its rabbits and the likes of neighbour cat. I ponder what Charles Darwin would have to say about urban wildlife. I doubt these city dwellers could make it in the wild, without question sharing less and less with their country cousins. If that’s not evolution, I don’t know what is.